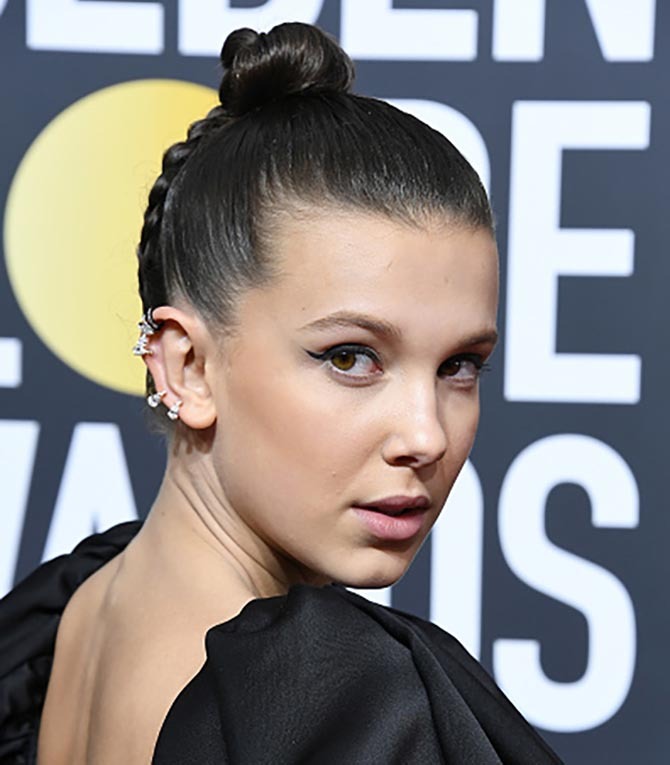 The red carpet at the 75th Annual Golden Globes on Sunday night was an empowering statement of glamour. Women spoke up for all the causes they believed in. There was a real feeling of pride and joy in their solidarity for the Times Up movement, a legal defense organization funded by women in Hollywood and around the world to help underrepresented women everywhere fight for legal rights, equal pay and to stop sexual harassment. At press time, the initial goal for the fund to raise $16-million had almost been reached. 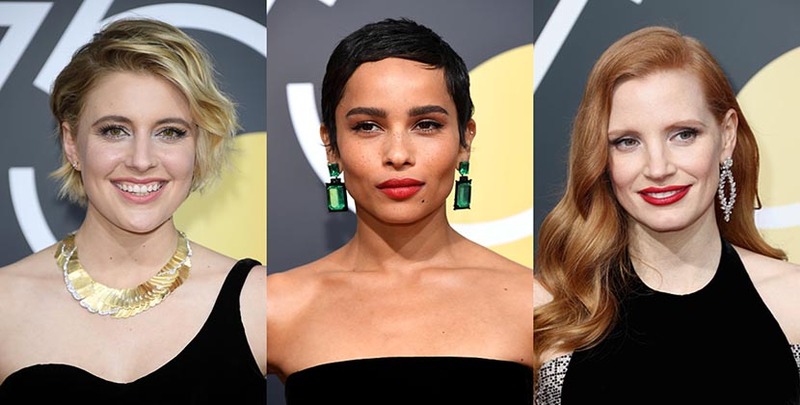 On the red carpet, the solidarity among women was shown in their decision to wear black gowns. The always chic color proved to be an amazing backdrop for some seriously powerful, imaginative and glamorous jewels. Of course, there were diamonds but there were also lots of emeralds, pearls, gold and other gems. See the best jewels below. Zoe Kravitz in Lorraine Schwartz 105-carats Colombian emerald and black jade earrings and a 25-carat Colombian emerald ring from the designer. Jessica Chastain, the long time ambassador for Piaget, wore the brand’s stunning Limelight Rose Passion earrings in white gold set with approximately 6.81-carats of brilliant-cut diamonds and around 12-carats of marquise-cut diamonds and 3-carats of pear-shaped diamonds. Lady Bird director Greta Gerwig lit up her black gown with a gold and diamond vintage archival piece from Tiffany. It was designed by Angela Cummings in 1980. 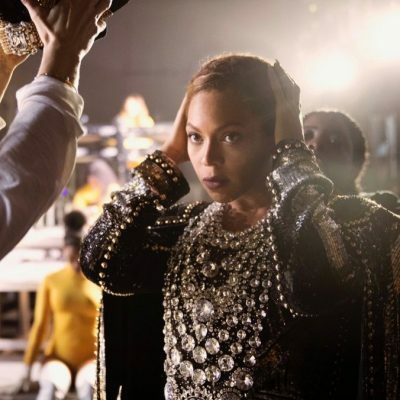 She also wore small Victoria diamond and gold earrings. Find out more about the design of the jewel here. 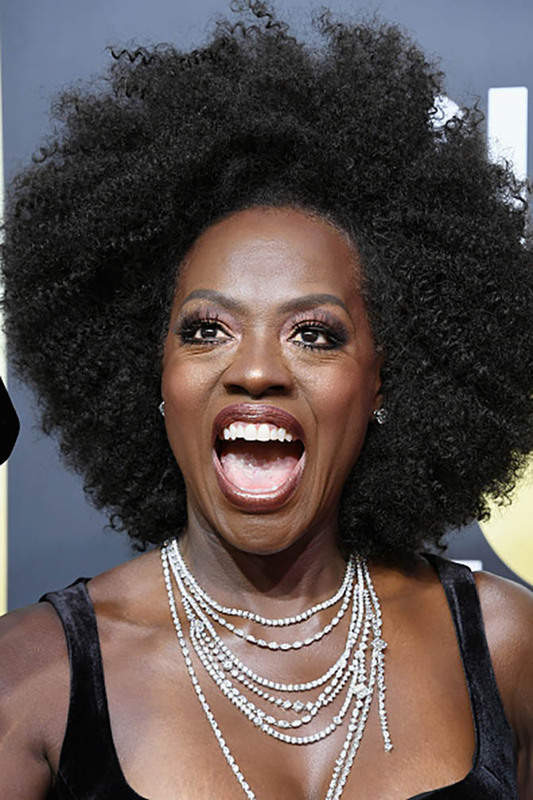 Viola Davis in a Harry Winston 111.48-carat diamond and platinum Secret Combination Diamond Necklace and 8-carat round brilliant cut diamond and platinum earrings. 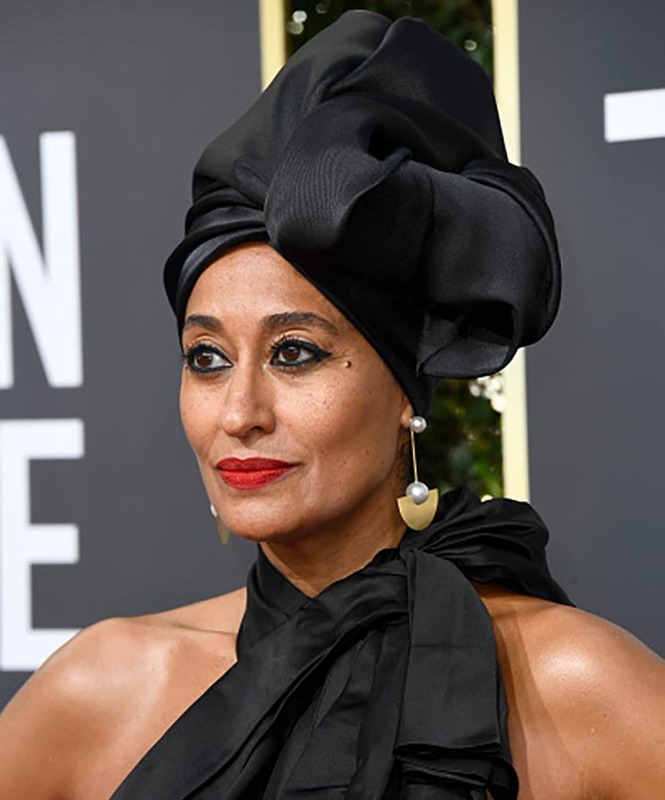 Blackish star Tracee Ellis Ross in Irene Neuwirth gold and pearl earrings. Gal Gadot in Tiffany diamond and platinum chandelier earrings. 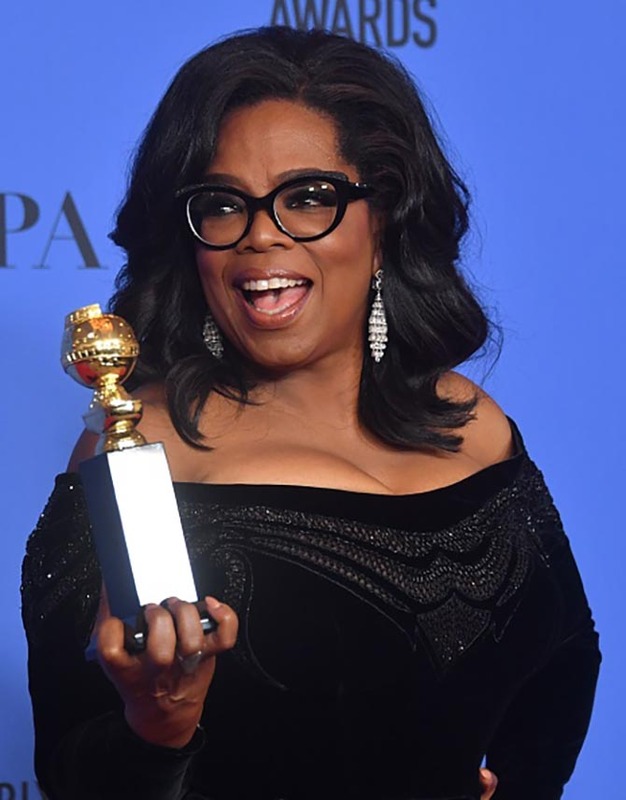 Oprah Winfrey poses with her Cecil B. DeMille Award wearing diamond briolette pendant earrings. Game of Thrones star Emilia Clarke in a Harry Winston V-Shape 18.91-carat platinum and diamond choker and 6.32-carat emerald-cut diamond and platinum studs. Issa Rae wore $5.5 million of Lorraine Schwartz jewelry. 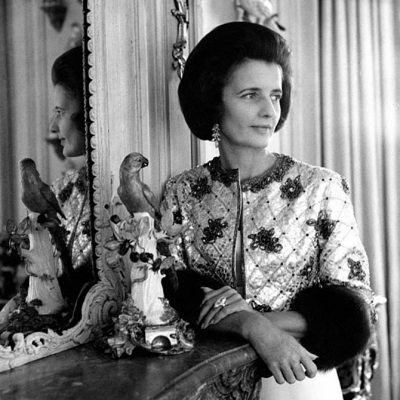 Her pieces included a 100-carat platinum and diamond necklace with a 35-carat Colombian emerald center and a 42-carat Colombian emerald and diamond ring set in platinum (not seen in the photo). Angelina Jolie in Forevermark 12.50-carat Diamond and white gold drop earrings. 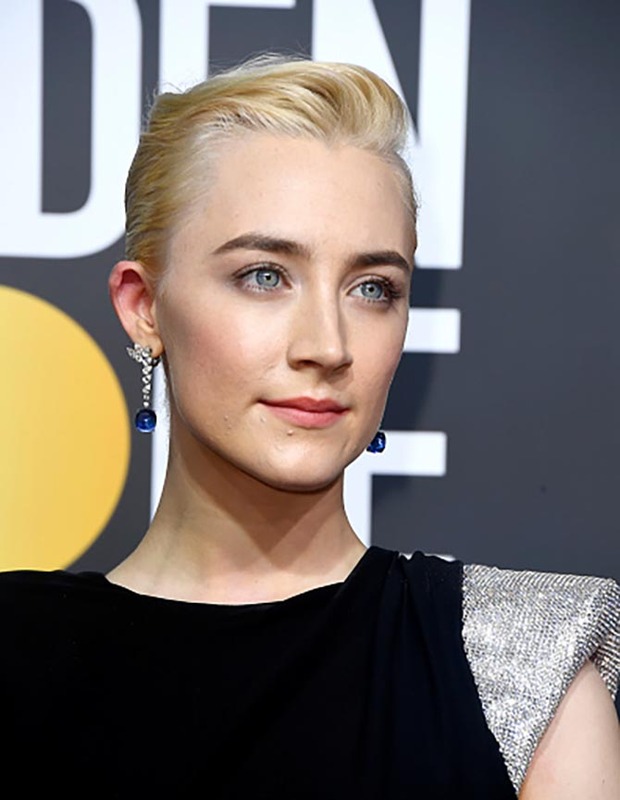 Saoirse Ronan in diamond, sapphire and platinum earrings by Cartier. Jessica Biel in vintage Bulgari diamond earrings. Kate Hudson in a Harry Winston Secret Wonder platinum and 30.01-carat diamond, sapphire and aquamarine pendant necklace and vintage 1969 Winston Cluster platinum and 23.12-carat diamond earrings. Reese Witherspoon in Bulgari diamond earrings. Catherine Zeta-Jones in Lorraine Schwartz emerald and diamond chandelier earrings. Dakota Johnson in Nirav Modi earrings featuring a cascade of diamonds in various shapes. Allison Williams in a Five Row 43.15-carat Forevermark diamond and white gold choker. 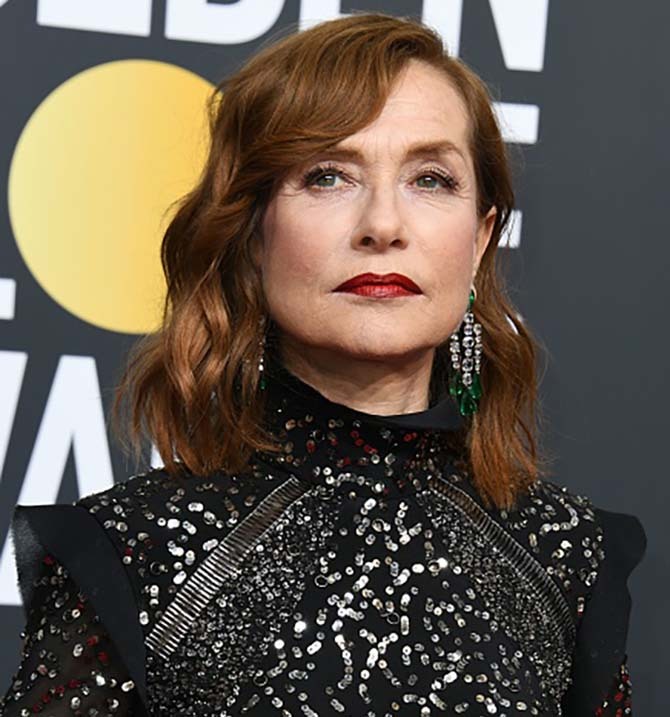 Isabelle Huppert in Chopard diamond, emerald and titanium earrings. Emma Stone in Louis Vuitton signature diamond earrings. 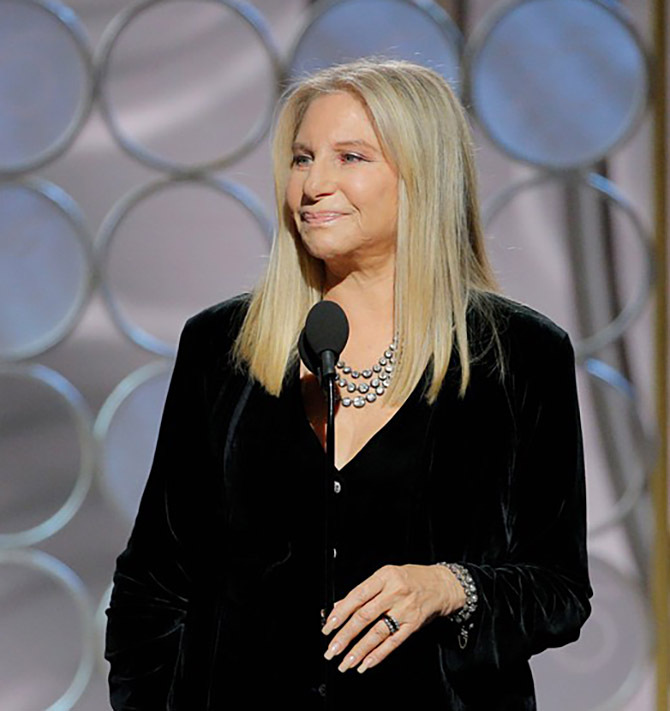 Barbra Streisand in a multi-strand vintage collet necklace and bracelet. Ashley Judd in a Martin Katz 15.89-carat oval emerald and diamond cocktail ring in white gold. Alison Brie in a Bulgari diamond necklace. 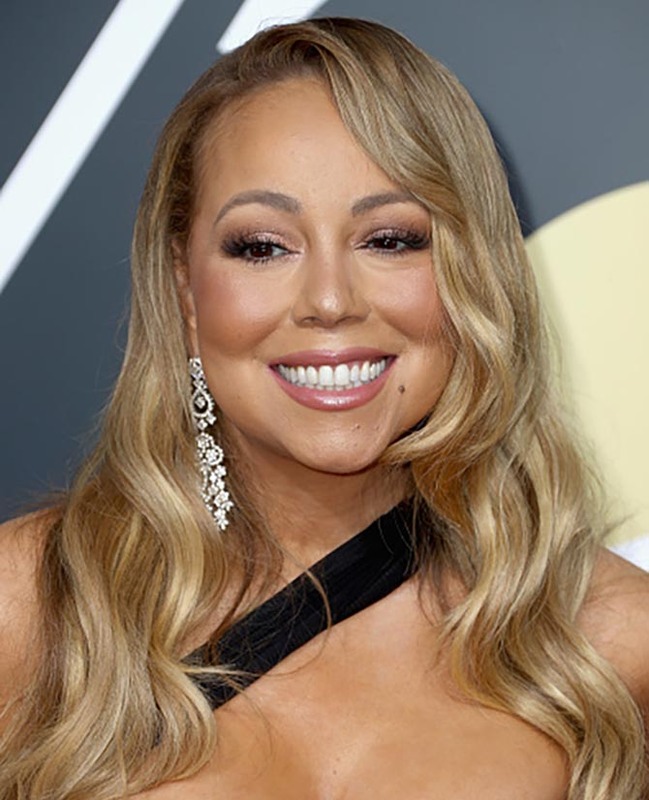 Mariah Carey in long diamond pendant earrings. Maggie Gyllenhaal in long pearl earrings by Sophie Buhai. Jamie Chung in Chopard diamond pendant earrings and a Floating Diamond stud. Alexis Bledel in Forevermark x Jade Trau Alchemy diamond earrings. Debra Messing in Lorraine Schwartz 32-carats of pear shape Colombian emeralds set in blackened platinum and a 40-carat Colombian emerald and diamond ring. Yvonne Strahovski in a Bulgari bib necklace. 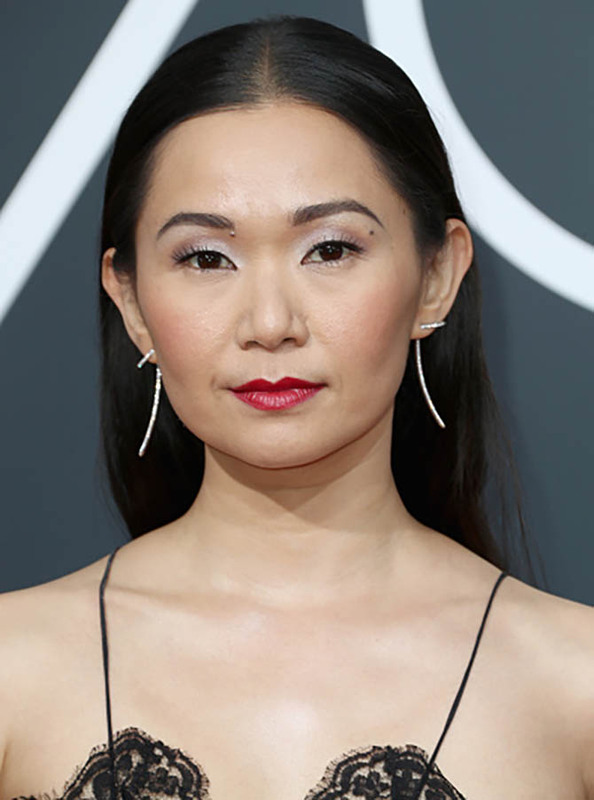 Hong Chau in Jennifer Fisher silver and diamond Long Claw Pin Tusk earrings.